There are benefits to doing art for people of all ages. 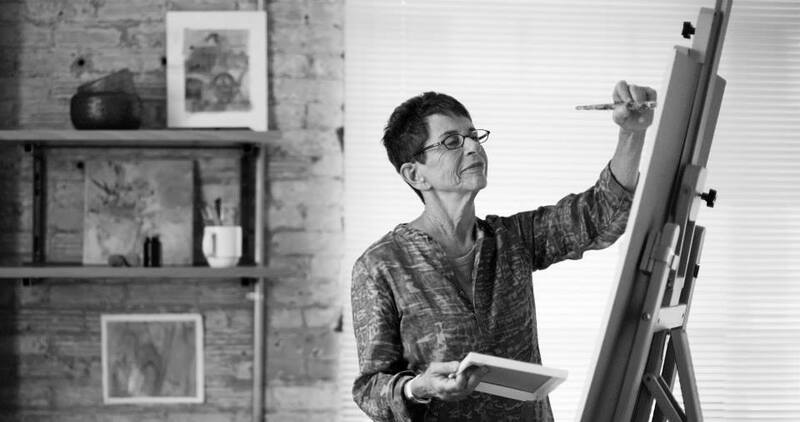 For those of us in the second half of life, art can be a compelling option for engaging your mind, one of the four dimensions of brain health (http://www.beautiful-minds.com/four-dimensions-of-brain-health/the-mentally-engaged-mind) Whether you are a dedicated knitter, an experienced painter or a total newbie who has no idea where to start, there are some many ways to bring more art into your life. Make a memory book: A book, or a box, filled with memories can be an incredibly satisfying project to take on. The look, layout and what memories you choose to preserve are entirely up to you. An added bonus will be the great feelings evoked by looking back on important times in your life. Give the gift of art: Receiving handmade gifts is such a thrill, why not return the favor for a loved one? Think of useful, pretty, or fun items – like jewelry, candles or puppets (grandkids would love this one!). Seek out an online tutorial or classes held in your community. Collage your feelings: A popular art therapy technique, making a collage is a great way to articulate your feelings. Maybe you have a goal you want to achieve this year, are celebrating a family milestone or grappling with a stressful situation – grab the scissors and start cutting and gluing images that fit your feelings. Finally, something to do with your stack of old magazines. Get messy: art doesn’t always have to be sophisticated or refined, or even particularly skilled. You may not be able to paint a photo-realistic seascape, but you can definitely bring (finger) paint to paper. Why leave the fun, messy stuff to the pre-school set? Put down a tablecloth, throw on some old clothes and have fun! We want to hear from you: how do you bring art into your life?